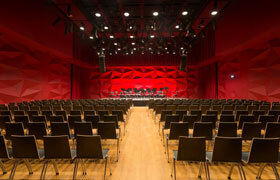 Meccore String Quartet gave two successful performances in Wrocław. Their recital was followed by a concert with the NFM Leopoldinum Chamber Orchestra and Hartmut Rohde. Click here to read a very favourable review of one of the concerts.